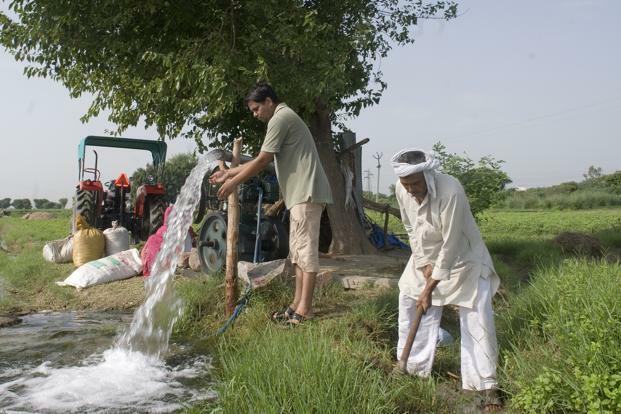 A water effectiveness focus for agriculture policy will improve yield, change cropping patterns and reduce misery. It is the only way to mitigate the significant impact likely from climate change. Each year in India, one half of a billion people pray for rain. The rain has to be just right. Too little and there is drought. Too much and there are floods. In either of these cases, their agricultural crop does not provide them sufficient livelihood. Misery generally follows in its wake. When the United States pulled out of the Iran nuclear deal in May, it told countries trading with Iran that they would have to stop soon or face American sanctions. As the first ninety-day wind-down period for ceasing trading with Iran comes to an end, Washington is ratcheting up the pressure on the main importers of Iranian crude oil. However, most of the other countries that signed the nuclear deal —including many in Europe—continue to support it. But companies, not governments, import oil—and they are likely to buckle under the U.S. pressure. It is received wisdom that prior to the era of liberalisation, the Indian economy was a story of chronic shortages. This was the fate of most newly free post-colonial nations of the mid twentieth century. The shortages in a macroeconomic sense were of three kinds. Firstly, and most importantly, were food shortages. This was because the nation was unable to produce enough to feed its population. If food prices remained unregulated, then food inflation would be so high that most of the poor would not be able to afford, and hence suffer from starvation. The way to bridge the food deficit was by importing food, and possibly depend on foreign aid. Also, prices were regulated so that the poor could afford to buy food. Which leads us to the second deficit, caused by the need to import stuff. This was the shortage of foreign exchange. The only way to bridge this gap was to earn via exports, and keep a strict control on the outgo of foreign exchange. Those were the days when the per diem to government servants on their trips abroad was around two dollars a day. The third deficit was the fiscal deficit, wherein the government was unable to collect enough through taxes (or non tax revenue) to pay for its expenditure. A developing country naturally had a low tax base, and a very high development expenditure requirement. WHAT ARE U.S. SPECIAL FORCES DOING IN FARAH, AFGHANISTAN? Afghanistan’s Ministry of Defense has confirmed that American special forces are being deployed to the country’s western province of Farah. According to the Khaama Press News Agency, the American troops are being deployed alongside Afghan forces to help train local troops. It is not yet clear how many Americans will be part of the Farah mission. Ministry of Defense spokesman General Mohammad Radmanish said the U.S. troops will not participate in combat operations, and will be on a train, advise and assist mission. Radmanish added that the Americans will be helping the Afghans get to grips with new weapons. As expected, the U.S. reimposed sanctions on Iran on Tuesday morning, putting the U.S. in direct violation of the Joint Comprehensive Plan of Action, better known as the Iran nuclear deal. The revived sanctions cover Iran’s purchases of U.S. dollars, metals, coal and industrial software as well as the Iranian auto sector. (The second round of expanded sanctions targeting Iranian energy exports won’t kick in until November.) This puts the U.S. and the European Union on something of a collision course. On Monday, U.S. President Donald Trump tweeted that anyone doing business with Iran will be barred from doing business with the United States. But now that the sanctions have kicked in, the EU is using an obscure law from the 1990s to shield it from any repercussions. (In theory, anyway. The law will prove difficult to enforce.) As for Iran, the sanctions come at a bad time. Demonstrations in cities across the country entered into their seventh day on Tuesday. The hardline-dominated Assembly of Experts called on Iranian President Hasan Rouhani to be held to account for the country’s economic woes and demanded a sweeping overhaul of his Cabinet. Rouhani said Tehran will not negotiate with Washington while under sanctions. U.S. foreign policy toward Iran is approaching a “back to the future” moment, with the Trump White House resurrecting the strategy pursued by President George W. Bush (and, for a while, President Barack Obama) of pressuring Iran economically into abandoning its nuclear pursuits. The question now is whether President Trump, or if necessary a successor, will push this pressure campaign—which the Administration is supplementing with outreach to Iran’s people and more security cooperation with its regional adversaries—to its conclusion. It has been said that the Kurds are a nation without borders, though that is only partly true. They are, of course, citizens of any number of countries, ones that envelop their homeland in the Middle East and ones much farther afield. But for the Kurds — a nation of some 25 million people who, despite their shared culture, speak different languages, practice different religions, subscribe to different political ideologies and hold different passports — citizenship is not such a simple matter. It would be more accurate to say that Kurds, having assimilated into countries they do not consider their own, tend to be citizens in name but not in practice. And they are subject, therefore, to discrimination and outright oppression. In Turkey, Kurdish language curriculums are still banned in most schools. In Iraq, an estimated 50,000 to 100,000 Kurds were killed in the late 1980s during Saddam Hussein's al-Anfal campaign. In Iran, as many as 1,200 Kurdish political prisoners were allegedly executed after the Iranian Revolution of 1979. Congress rarely gets outraged over an internecine war in a distant land where American troops are not bleeding and dying. But in a rare exception, lawmakers have become deeply troubled over the Pentagon’s role in Yemen’s civil war—a conflict that has eviscerated the civilian population, provoked a deadly famine and ignited what health officials are calling the worst cholera outbreak in recorded history. For the first time since the war began in 2015, U.S. lawmakers are taking concrete steps to halt or tightly restrict weapons sales to their allies Saudi Arabia and the United Arab Emirates—the leaders behind an Arab coalition fighting Yemen’s rebels, who are seen as proxies for a common enemy, Iran. 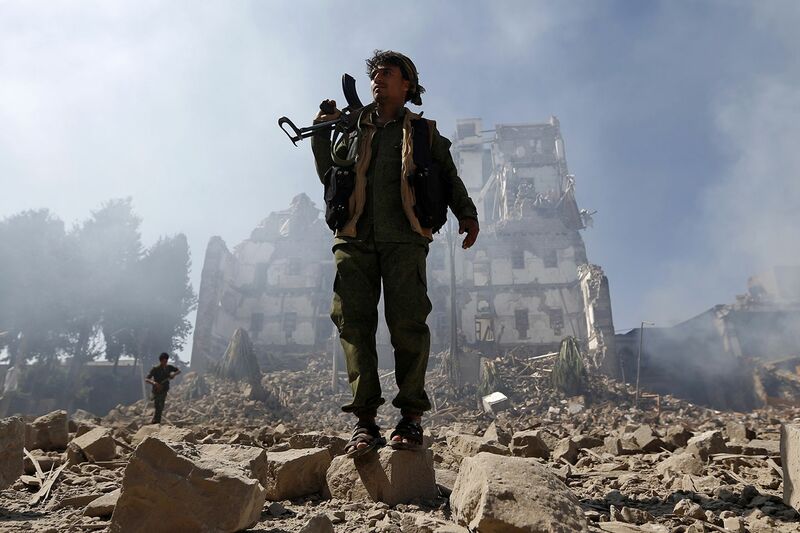 Much of the damage from the war, independent observers say, has been caused by Saudi and UAE airstrikes using U.S. and British warplanes and munitions, leading human rights groups to accuse Washington and London of complicity in Yemen’s agony. The past few weeks have been particularly rich in new developments for the UAE’s foreign policy. 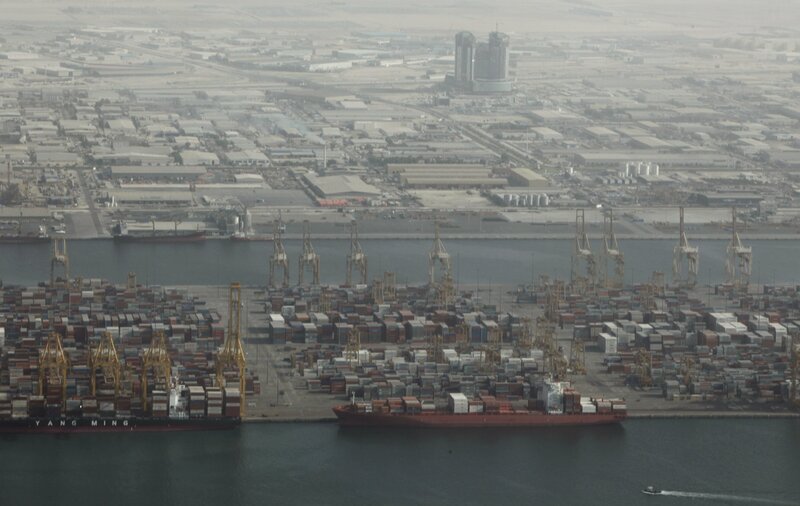 In Yemen, the UAE is at the forefront of the current struggle for the seizure of the Houthi-held port of Hodeidah, a critical chokepoint for the arms and humanitarian supplies to the Houthis, and an important access to the Red Sea and strait of Bab el Mandeb, where 4.8 million barrels of oil and 8 percent of global trade transit every day. On the other shore of the Red Sea, the Emiratis have reportedly played a key role at facilitating the rapprochement between 20-year rivals Eritrea and Ethiopia. On July 24, a few weeks after the two countries signed a peace agreement, Abu Dhabi hosted a tripartite summit with the two leaders, where it reaffirmed its support to their peace efforts. For the UAE, the stabilisation of these important partners could have strategic advantages, including for reinforcing its already solid influence on Horn of Africa’s ports. Indeed, Eritrea hosts the UAE’s first foreign military base in its port of Assab since 2015, and reports suggest that landlocked Ethiopia plans to use this port, possibly developed by Dubai Ports World, to diminish its reliance on the port of Djibouti. Other gear captured during the Arab-Israeli wars included T-62 and T-72 tanks, BMP infantry fighting vehicles, and Sagger anti-tank missiles. Both sides also lost and benefitted when their various Third World allies changed sides, and offered their new patrons a look at the weapons supplied by their old backers. Iran gave the Soviets a chance to inspect F-14 fighters delivered to the Shah’s air force, while the United States got to see Soviet weapons in Eastern European arsenals after 1989. Last month, Russia claimed that it recovered U.S. Tomahawk missiles that hit Syria, and would crack their secrets. For years, the nuclear industry insisted that civilian nuclear power had nothing to do with weapons programs. That was then. Now, in a desperate attempt to keep no-longer-competitive nuclear plants from being shuttered, the industry claims there really has been a connection all along, and electricity customers should pay a premium to keep it going. It is one claim too many. In its latest public effort, the nuclear industry got several dozen retired generals and admirals, former State, Defense and Energy Department officials, three former chairmen of the Nuclear Regulatory Commission, and a sprinkling of former senators, governors, industrialists and other worthies to sign a June 26, 2018, letter to Energy Secretary Rick Perry attesting to the connection between U.S. nuclear power plants and national security. The letter urged him to weigh in with federal and state rate-setting bodies to raise customers’ electricity bills to keep U.S. nuclear plants from shutting down, however much that will cost. The Russian Airborne Troops (Vozdushno-Desantnye Voyska—VDV) and Military Transport Aviation (Voyenno-Transportnoy Aviatsii—VTA) carried out a comprehensive exercise in the Ryazan area, on July 9–13. Participation by the VTA was unprecedented, while the drill, in and of itself, showcased some interesting and novel features, including the first-ever aerial drop of a BTR-MDM armored personnel carrier with a crew of three onboard. Five insights into building a great data platform can help energy, chemical, utility, and basic-materials companies get it right. For any sizeable company, a state-of-the-art data and analytics platform is no longer an option but a necessity. Such a platform acts as a central repository for all data, distills them into a single source of truth, and supports the scaling up of sophisticated digital- and advanced-analytics programs that translate data into business value (exhibit). Companies without one risk leaving serious value on the table. For a utility, for instance, a data and analytics platform can cut costs by up to 15 percent in some operational and maintenance areas, while savings in oil and gas companies’ upstream activities can run even higher, at up to 20 percent. The reaction to this week’s announcement by U.S. Secretary of State Mike Pompeo of a U.S.$113 million infrastructure fund is that it was more than a tad underwhelming. When set against potentially upwards of U.S.$1 trillion in financing for China’s Belt and Road Initiative (BRI) – to which the new U.S. fund is a thinly veiled response – that certainly seems the case. Yet the outlines of an Indo-Pacific infrastructure strategy that looks potentially more promising can also be seen. No one can see the future, but we can still make sure we aren’t blindsided when it arrives. That’s especially true when it comes to how technology is changing workplaces in the US. We sat down with Jay Shambaugh, director of the Hamilton Project and former member of President Obama’s Council of Economic Advisers, to get an idea of what we might expect and how to make sure we’re ready. What can individual workers do to better prepare themselves for the workplace of the future? The silliest but probably most honest one is stay in school. I am a total believer that for the economy as a whole, education is not a sufficient way to solve wage-growth problems. But for an individual, it is. For an individual, the more education you have, the lower your unemployment rate and the higher the wages will be over your career. The other thing is to back politicians and policies that are supportive of what you think you need in your working life. For the past month, Axios has been interviewing people who have been trusted with the nation’s most sensitive secrets. The group includes seven former directors or deputy directors of the CIA, two former U.S. intelligence chiefs, a former Secretary of Homeland Security, two White House homeland security advisers, and a former Director of the National Counterterrorism Center.We wanted to know, in this time of acute geopolitical stress, which global threat worried them most, and which threats they thought weren’t getting the attention they deserved. The project was led by David Lawler, Jonathan Swan and Evan Ryan. Given your overwhelming response to our Deep Dives, they’ll soon break into special editions, so you’ll also get a regular Saturday edition of Axios AM. This issue of the CAD focuses on the international and regional implications of Armenia’s 2018 ‘Velvet Revolution’. 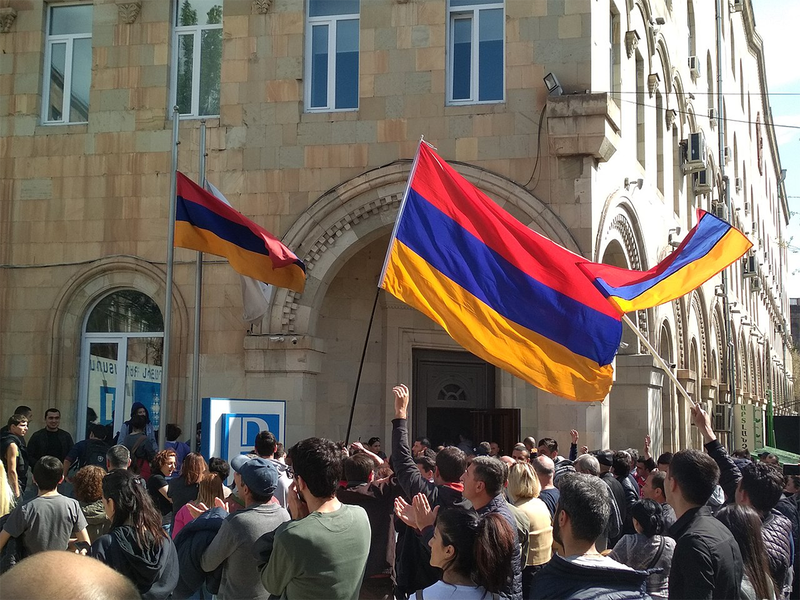 More specifically, the articles look at 1) whether Armenia’s spring 2018 political transformation led to any changes in the country’s foreign policy priorities; 2) how Azerbaijan’s political elite responded to the spring events; 3) what Georgians think about the revolution; 4) why Armenia’s political changes could prove a litmus test for the EU’s ability influence political change in its neighborhood; and 5) why Russia remained largely indifferent to the revolution. 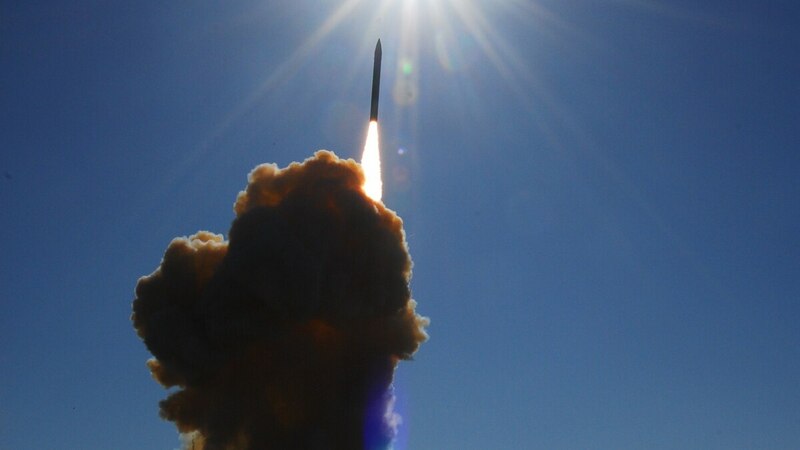 WASHINGTON — House and Senate lawmakers have authorized an injection of about $51 million in funding to cyber-harden missile defense systems, according to the fiscal 2019 National Defense Authorization Act conference report, and appropriators are expected to follow suit in the defense spending bill with roughly $100 million in additional funding. Congressional authorizers noted in a summary of the NDAA conference report, released July 23, that the conferees were supporting an increase in funding to address cyberthreats to U.S. missile defense systems. Back in the 1990s, when US banks started installing automated teller machines in a big way, the human tellers who worked in those banks seemed to be facing rapid obsolescence. If machines could hand out cash and accept deposits on their own, around the clock, who needed people? The banks did, actually. It’s true that the ATMs made it possible to operate branch banks with many fewer employees: 13 on average, down from 20. But the cost savings just encouraged the parent banks to open so many new branches that the total employment of tellers actually went up. The robots are coming: SpaceX founder Elon Musk, and the late physicist Stephen Hawking both publicly warned that machines will eventually start programming themselves, and trigger the collapse of human civilization. Iwas marching in a pride parade when I heard a familiar buzzing over my shoulder. Turning on my heel, I came face-to-propeller blade with a drone. I watched as it swooped perilously close to the crowd and then suddenly soared straight up. Later, I found the drone pilot and director literally plucking their DJI Ghost quadcopter out of the sky after successfully capturing tons of excellent drone footage. They’d been hired to document the event. I remember being impressed with the pilot’s expertise. I bet his shots looked amazing. As consumer drones have grown larger and more intelligent, making piloting virtual child’s play, concerns have grown. We are in the midst of an "AI awakening," as artificial intelligence technologies can now match or surpass humans in fundamental skills like image recognition, Erik Brynjolfsson, director of the MIT Initiative on the Digital Economy, said in a panel discussion session at the 2018 MIT Sloan CIO Symposium. Artificial General Intelligence (AGI)—the point when machines will be able to perform all intellectual tasks that humans can—is still a long way off, Brynjolfsson said. But machine learning has reached superhuman capabilities in certain areas, and can offer enterprises a number of benefits. In two papers recently published in Science and the American Economics Association, Brynjolfsson and colleagues developed a rubric of 23 questions to identify tasks that AI is now adept at, and applied those to the O*NET database of 964 occupations in the US. Special Operations Command Africa (SOCAFRICA) cannot go far alone, especially in Africa. While Special Operations Forces (SOF) are among the most expeditionary of all military forces, capable of providing their own SOF-specific sustainment, they still require common user logistics such as replenishment of supplies, reliable transportation, logistics services, and engineering support. [i] It is this category of sustainment that is the most challenging in Africa and requires significant coordination within the logistics enterprise. Sustainment of SOF is inherently more complex than sustainment of conventional forces, especially outside of major contingency operations, because SOF is inherently joint and requires a blended concept of support. [ii] At any given time, SOCAFRICA has approximately 1000 operators and enablers in Africa, conducting activities in approximately a dozen nations. Their mission is to counter terrorists and enhance stability by, with, and through our African partners. To do this, SOCAFRICA must disperse its forces to co-locate with those partners in multiple locations across the continent. Each of these locations represent a unique sustainment challenge, addressed using a combination of resources from US Africa Command (USAFRICOM) components, US Special Operations Command (USSOCOM) components, local procurement, contracted services, Acquisition Cross-Servicing Agreements (ACSAs), and others. While these concepts of support are usually tactically adequate, they are often late to need and far from optimal at the theater strategic level.